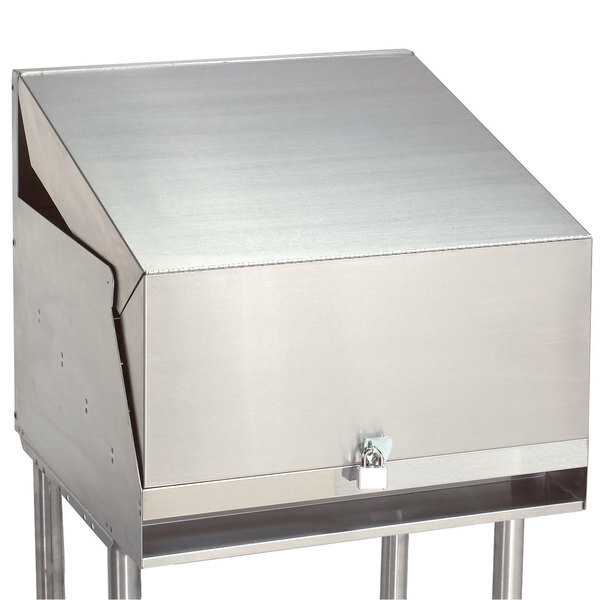 Protect and store your operation's liquor supply with this Advance Tabco LC-1812 stainless steel cover. For use with the LD-1812 liquor display cabinet, this innovative cover measures 18'' x 12'' and keeps your signature drink operations securely stored in between applications. A padlock and two keys are included for added security, and the stainless steel construction matches the cabinet.